Office football pools are a great way for co-workers to get to know each other and engage in some fun competition. Try these tips for managing your office league, and the only thing you’ll have to worry about is who to start on Week 1. Form Your League – The first rule is deciding whether the league is work official or something coworkers play on their own time. In either form, find a big group of coworkers devoted to fantasy football. A larger group creates higher stakes, more strategy, and increased competition. Let the fun begin! Choose a Commissioner – Find a commissioner who is responsible, trustworthy and unbiased. These traits will be vital when it comes to enforcing rules! Pick a Way to Communicate – Communicating in a fantasy league is essential for countless reasons: playful banter, trade negotiating, draft commentary and overall football engagement. Find a group-chat application that is easy to use and free to join. After all, what fun is football without talking? Encourage Playful Banter, Not Heated Debate – Friendly small talk is always welcome, but never encourage arguments. Especially in a work setting, make sure to keep playful banter just as it sounds — playful. Decide on Pool and Prizes – Playing for a prize incentivizes everyone, especially if you’re trying to beat James in Marketing. Money-centered or not, think of unique and appealing ways to reward the champion — whether its tickets to a local team’s game, vouchers for a free vacation day or a gift card to a favorite restaurant. Choose Your Rules – Remember, don’t reinvent the wheel. Most league platforms already have great pre-set metrics, so it’s widely accepted to leave everything as is. That being said, there are still major rules that need to be defined, such as points-per-reception or not, trade deadline, playoff seeding, and other important procedures. 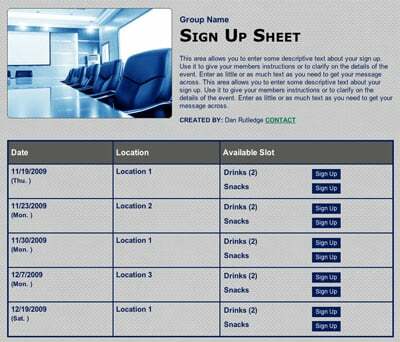 Use Online Sign Ups to Organize Events – Office parties and get-togethers are great ways to promote a positive work environment. Plan an office kick-off party to celebrate the start of the season and have employees contribute by bringing their favorite fall potluck dishes. Decide the Date – Picking a draft date that everyone can attend is perhaps the most difficult decision in this process. However, it’s important to have as many members at the draft as possible. It’s exciting to see coworkers cheer for their dream pick — and no one likes to wait three minutes for each absent player to auto pick. Draft Day Structure – Make sure to establish the draft rules ahead of time. What’s the order, and who decides that? Is the draft “snake” style, live auction or offline? Plan Your Draft Day – Planning an in-person draft party is always fun. It promotes engagement, playful conversation and mirrors a real-life football draft. Wear your favorite jersey, set up the whiteboard and bunker down for an exciting draft! Create Fantasy Team Names – This is always a fun one. 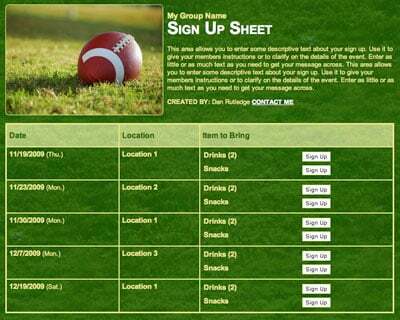 Once your roster is filled out, create a punny team name based on one of your players or find inspiration online. A few favorites: Gotta Catch Jamaal, Red Hot Julius Peppers and Dak to the Future. Have Fun – Now that you’re ready to compete, remember the goal of the league. Invite coworkers to watch games, talk to new members and, most of all, have fun! No Slouches – No one likes an uncommitted member — it lowers the competitiveness and overall excitement of each matchup. Spend an appropriate amount of time making your team better, and you’ll fall in love with the process! Use Analytics Websites – A lot of fantasy success has to do with luck, but that doesn’t mean you don’t need stats! There are hundreds of analytical resources and sites to help you become a mastermind of statistics, so take advantage of these free resources. Keep it Professional – As interests grow, don’t let leisure mix up with your work productivity. Get fantasy research done at home, and you’ll be less tempted to pull up a quick tab at work about Aaron Rodgers’ points total. Organize a Playoffs Office Party – When the season is almost over, plan an office party to celebrate everyone’s hard work and competitiveness. 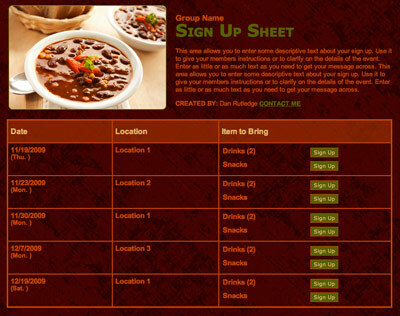 Organize a potluck with an online sign-up or plan a viewing party at a restaurant for the final fantasy games. Award the Champion – Determine how you will award the champion. Get creative by providing a surprise party or awarding the victor with a not-so-subtle trumpet introduction. Be careful not to exclude employees who aren’t in the fantasy league. Give Superlatives – Award prizes to different coworkers for unique records, such as best free agent pick up, best quarterback combo or most trades. These awards help all coworkers feel appreciated and provide recognition for those who didn’t win the whole thing. Make Changes to Rules – Take notes based on last year’s season and make changes to the new year. See if free agency picks need to be tweaked, how scoring could be improved or if the draft should be delayed. Practice makes perfect! Recruit Next Year’s Members – Based on how coworkers performed and behaved, decide whether to change the league size. Make sure to have a league roster that is respectful and constructive toward one another. New faces are never a bad idea! A fun office fantasy league offers great social engagement and a positive work environment. That’s a win none of us can dispute!